I am not sure what this building is. 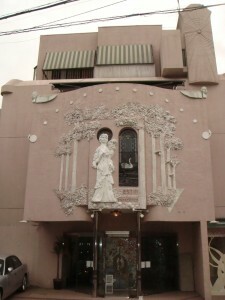 It is just has a very unusual facade. It almost looks like a church. I couldn’t find a sign or anything that would indicate what it is. It’s just around the corner from the Storm Trooper from yesterday’s post.